My Northern Diary! 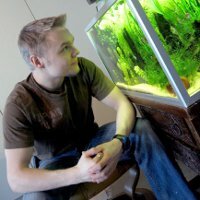 This blog is written by a guy who is very interested in many, many topics, such as nature, science, DIY, and photographing. Under those topics I will write about the current things I do, and sometimes recall stories from the past. I was born and live in the middle of Finnish forests, and I really like our northern home I feel I’m strongly connected to. Scout through the site, and you will quickly find out what I’m talking about. I don’t take responsibility of possible secondary effects the administration of this site can cause. I reserve full rights to operate this site, like post-editing my writings, deleting comments, removing or adding material, answering to comments/emails or not, or maybe totally taking down this site someday etc. I represent only myself here, not anyone else or any other party, and my writings and opinions are totally my own, personal outputs. You must further understand that if you decide to follow any of my projects, for example you decide to copy some of my schematics and make your own corresponding device, or you try to fix your house or car according to my guidelines, I don’t have any responsibility of your acts or possible damages. I cannot guarantee the proper functionality of my devices and designs, or desired outcome of my guidelines. I wont provide on-demand technical support or further study material on any topic, if don’t have time for that. If you want more information, you need to help yourself. I want to keep on posting and expressing myself, in addition to my everyday duties, why I need to prioritize my time resources. This site isn’t either going to be a scientific journal, why I don’t necessarily show references to claims I write here. When I do refer to external material, I’m not responsible of any third party material found behind the links I post etc. I will do reasonable measures to keep this site updated and secure. However, because hacking and malicious code constantly cause overwhelming problems in global scale, I cannot guarantee 100% security of this site all the time, and cannot take responsibility of possible damages these realities can cause. I hope that I could spare my sparks of enthusiasm, so take this site as a source of inspiration! If you have something to ask, please send an email at diary@mynortherndiary.com or comment. If you decide to comment on this blog, additional information given by you is stored: the content of the comment, name, email, and website you give with the comment form.